The Billionty-Oneth Geek: THE ARTIST!!!!!!! The Artist is director Michael Hazanavicius ode to the silent films of yesteryear. Not only focus on a silent movie actor and movie making, but it in itself is also a silent movie. The movie follows a silent movie actor named George Valentin through the rise and fall of his career. At the start of the film, we see George as this superstar celebrity; he loves the glitz and glamour of being a famous actor and soaks in all the attention he can get. He loves having his photos taken and being adorned on the front pages of newspapers. He is THAT kind of celebrity. At the premiere event of his latest movie, he bumps into one Peppy Miller – a young woman with big ambitions and dreams in Hollywoodland. The lives of the two intersect and an attraction immediately blossoms. The romance could only go so far as Valentin is a (happily?) married man. George’s superstardom reaches its height at a precarious time. And as the 1920s are ushered out, so are silent movies. The new decade brings with it the advent of film audio and actors who can now utilize speech – or Talkies as they’re referred to. George, a traditionalist and a master at his craft, refuses to accept the new technology and soon finds that, like time, he too is fading away. Peppy becomes the new face of the Talkies and is a nationwide sensation. However, her rise to fame is at the cost of George’s descent into obscurity. And it’s their career directions that becomes a source of conflict, dampening their romantic endeavours. Watching The Artist, I was reminded of why I loved Wall-E so much. There’s something powerful about a film that’s able to make you feel without the use of dialogue. Without the aid of speech, you have to channel your focus to facial expressions and the actions of the characters to understand the narrative. It’s a shame that this form of art is not greatly appreciated on the mainstream level. As George proclaims in the movie, they helped pave the way. The story itself is nothing spectacular and nothing that you haven’t seen before. But there’s a certain charm with the way they tell the story and how you see the attraction grow in each of the two leads. On top of that, what made it work so much is that both of the main characters are completely relatable. You have George who is filled with this prideful soul, who won’t accept help when it’s offered or who refuses to humble himself and get off his high horse. And then there’s Peppy who is the kind of person who just wants to genuinely help out someone she cares about, even though the person might not appreciate it or understand. She has a good heart that brings out the best of intentions. But even she’s not flawless. The real winner in this movie is George’s best friend: a small dog named Uggie. Uggie completely steals every scene that he’s in. Not only does he provide comedic relief, but he plays an important role in the dramatic scenes. In a movie with no dialogue, the musical score becomes even more important to heighten the emotion and to really flesh out the scenes. 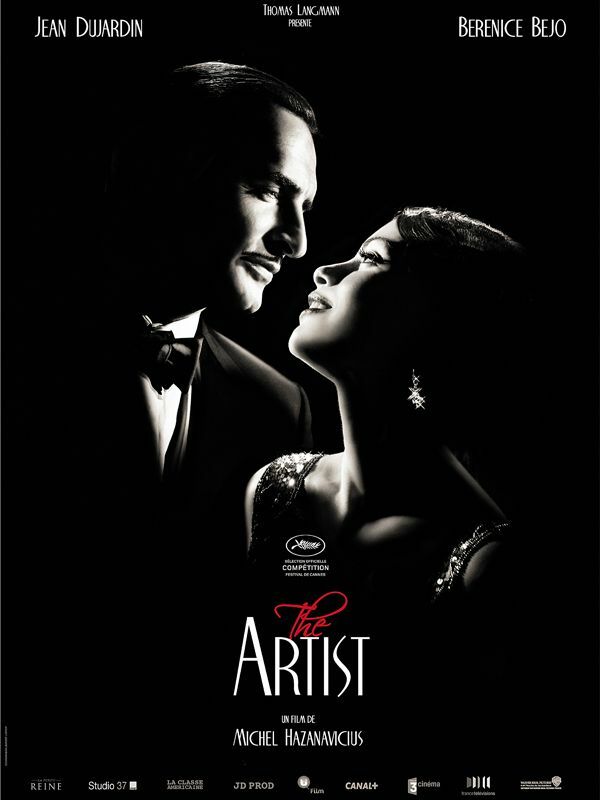 The score in The Artist really captures the mood of the characters and is so fitting to all the scenes. There are only a few moments of complete silence, done purposefully to bring in a sense of tension. It’s funny how silence can do that. The only gripe I had was with some of the casting. I thought the movie would have benefitted more with a completely unknown cast. And although the two main leads are not known in mainstream America, there are a few recognizable faces that fill out the supporting cast (i.e. James Cromwell, John Goodman, Malcolm MacDowell, etc.). But it’s the recognizability (is that a word?) of these faces that ground the film back to present day. I think having an unknown supporting cast would have really given the feeling that you’re seeing something from a different decade. But all things considered, this is just a small gripe. In a year filled with unspectacular movies, it’s not hard to call this movie one of the year’s best. It’s well crafted, and you can tell that Hazanavicius loves this art form. He really has fun with it, and in turn, the audience can have fun with it. It’s in limited release right now, and if I can recommend, see it with a wife/husband or girlfriend/boyfriend. It’s one of those types of movies. Until then, later geeks!